A scarf that transcends the season! 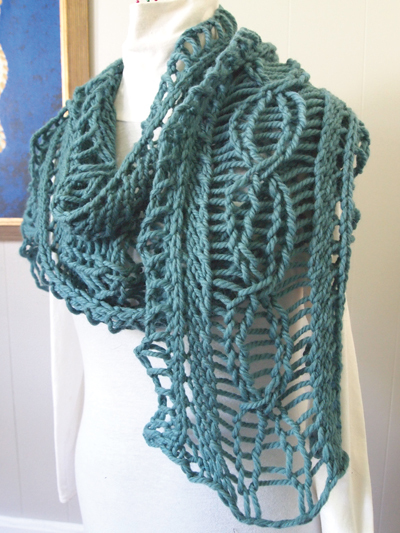 Circle Scarf is a fun, fast-moving chunky scarf that you can snuggle up to. 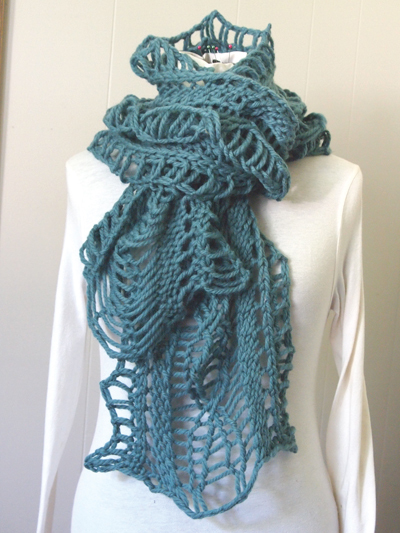 The bulky-weight yarn mixed with cables and dropped stitches creates a great lacy, chunky scarf. 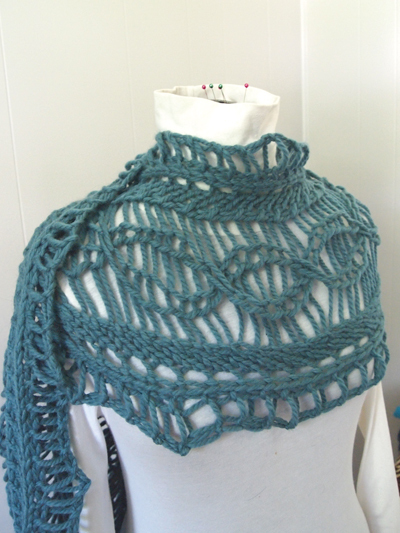 Knit with 174 yds bulky-weight yarn using U.S. size 11/8mm needles.